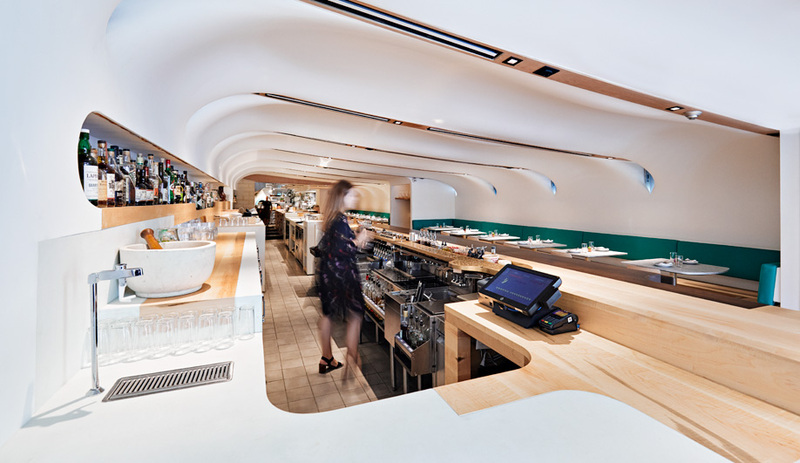 This month, Dutch designer Daan Roosegaarde – the brains behind the Smog Free Project and Space Waste Lab – brings Waterlicht, his poetic rumination on rising sea levels, to Toronto. “It’s scary but it creates an awareness of the world we’re going to live in, whether we like it or not,” says Daan Roosegaarde. 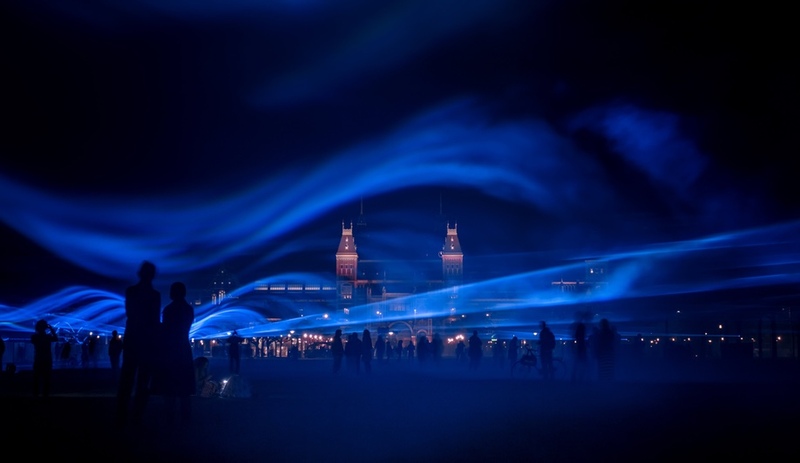 The Dutch artist is talking about Waterlicht, an ephemeral – and ethereal – light installation that uses LEDs, special software and lenses to visualize rising sea levels and speak to the power and poetry of water. Roosegaarde has installed Waterlicht at the United Nations HQ in New York, in London and in Paris. 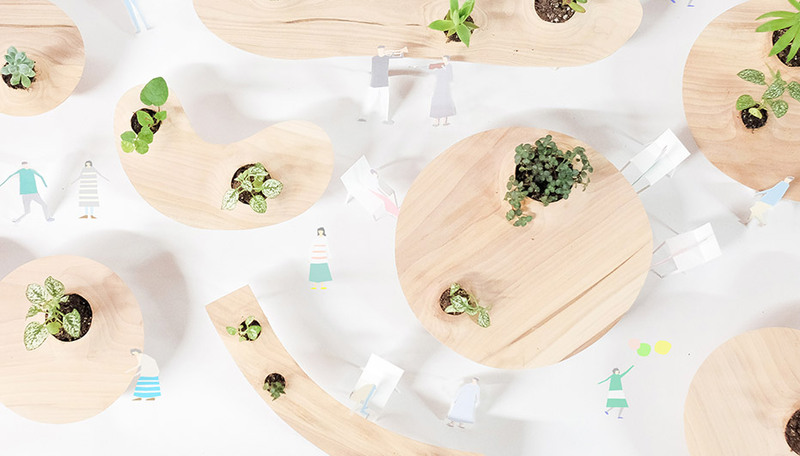 In mid-October, it will come to life at The Bentway in Toronto. For three nights, from October 12 to 14, the space beneath the Gardiner will be shrouded in a misty blue vapour. 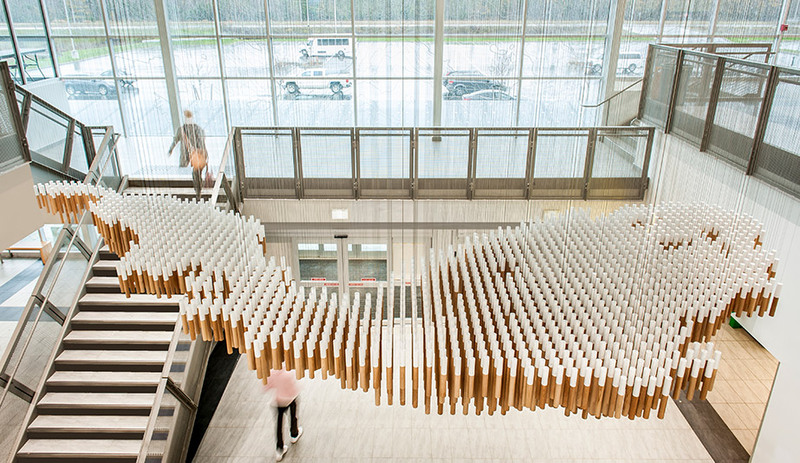 The work is part of Roosegaarde’s larger repertoire of big ideas to change the world. 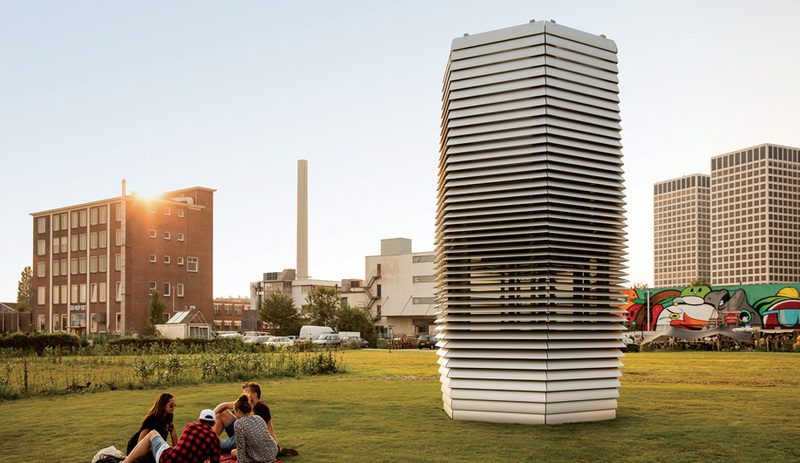 These include the Smog Free Project, a towering smog vacuum that has been dispatched to China, Poland, Colombia and India, and the Smog Free Bicycle, which purifies the air around cyclists. 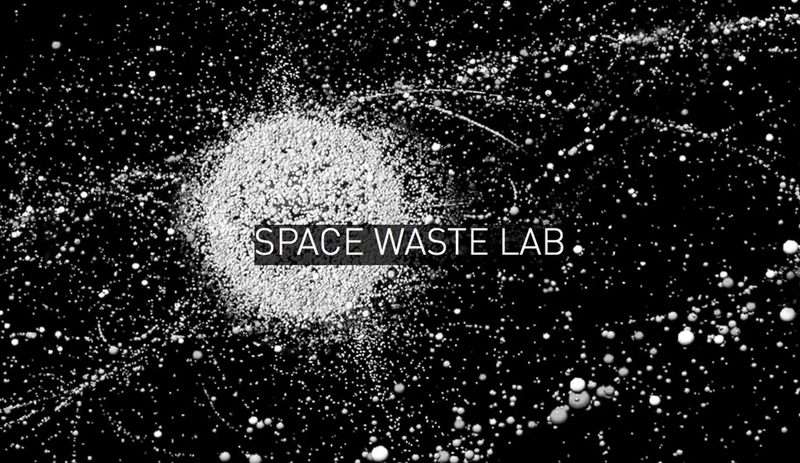 Perhaps the zaniest of Roosegaarde’s ongoing projects is the Space Waste Lab. “That’s a crazy one,” he says. “After we’d done a series of Smog Free Towers, we were pushing ourselves in the studio – can we design the atmosphere, influence the weather?” One of his designers had a desktop image of space waste – the tens of thousands of broken satellites and missiles orbiting the Earth. They pose a risk – if they collide with Internet satellites, they could wipe out our communications systems – but also an opportunity. Roosegaarde feels that the designer’s place is to provide this creative perspective on the issues the world faces. “There’s not a lack of money or technology in our world – but a lack of imagination when it comes to how we want our future to look like,” he says. His Waterlicht installation is part of the “If, But, What If?” public art series at The Bentway. It was organized with the support of Ryerson Urban Water Centre, Great Lakes Water Works, New College and Waterlution, and will include participation by water ambassadors, who will elucidate for visitors the “layered history of the Bentway site, its relationship to the waterways, the Lake’s ecology, and environmental threats facing the Lake now and in the future,” according to The Bentway.